You can expand any of the other excursions (Krabi, Koh Chang or Phuket) with 2 overnight stays in Bangkok. 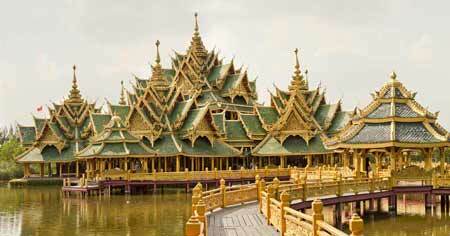 Bangkok, known as the 'City of Angels', is the capital of Thailand. It is a city of 10,000,000 inhabitants crossed by the CHIAO PRAYA river. Bangkok is especially known for its market and hosts hundreds of small and outdoor markets, but also state-of-the-art department stores and shopping centers. Notable is the night market (Pat-Pong) and the floating market where trading takes place on boats along the river. It is a cosmopolitan city full of contrasts, as you will find elements that are very traditional, such as palaces, temples and the countless Buddha statues. . .